We chose a home with a small laundry room on purpose. 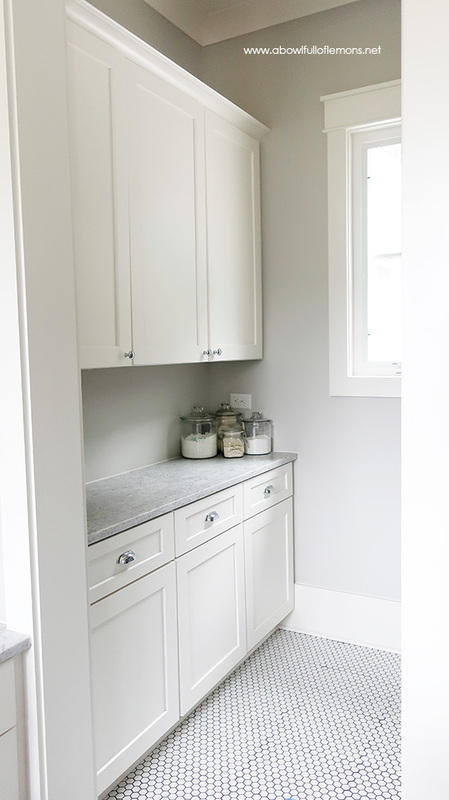 The laundry room is generally a magnet for clutter and we don’t have time to worry about that. So when designing this space, I knew I had to have a place for everything. There would be no space for clutter here. 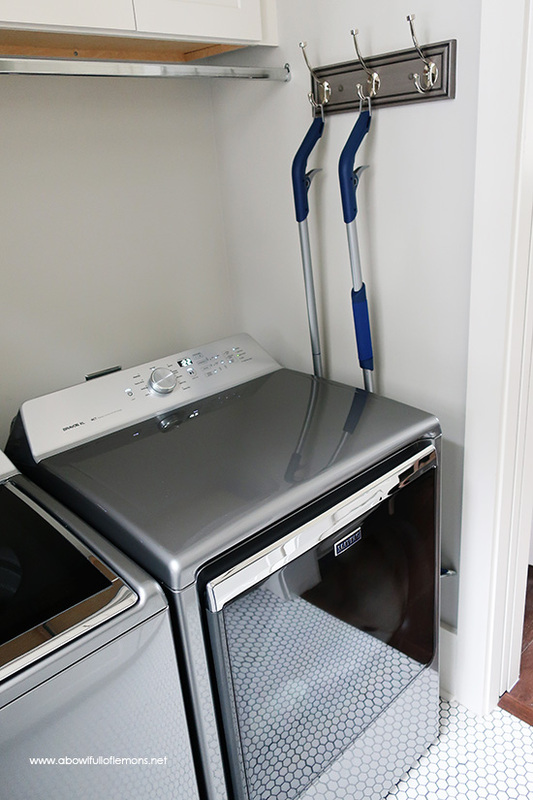 I hope you enjoy a tour of our new laundry room. 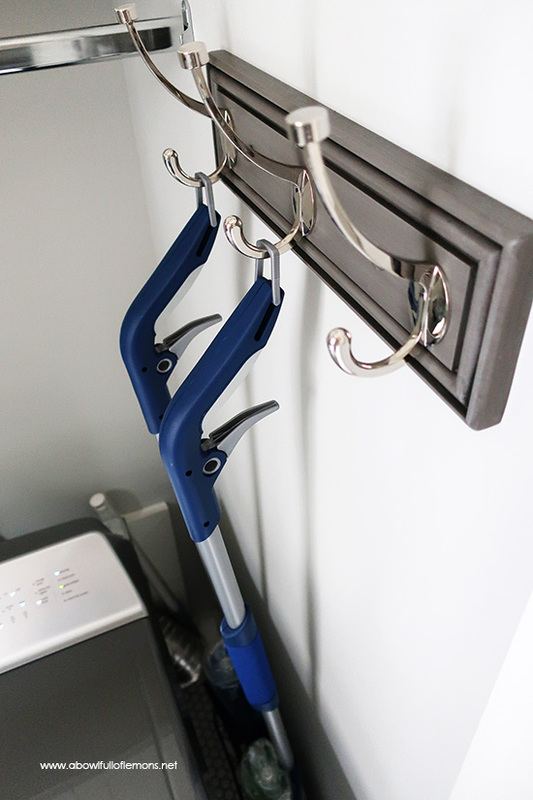 I also posted a video of my laundry room organization on my YouTube channel – so be sure to check it out! 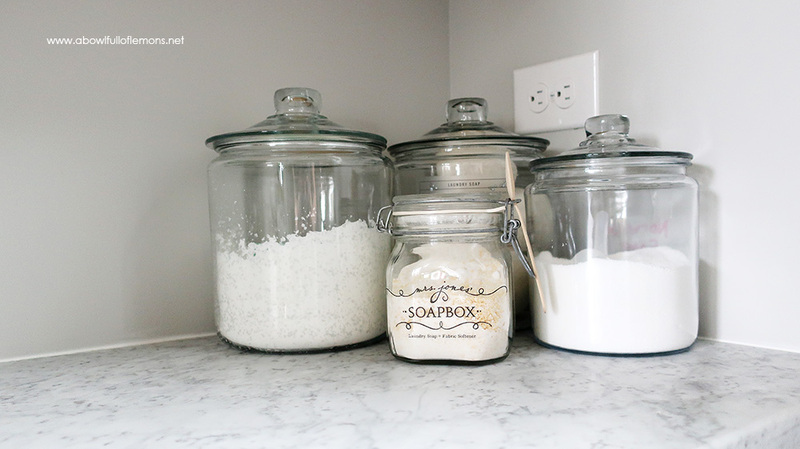 I keep our powdered laundry soap, oxi clean and dryer balls in clear glass jars on the counter. They are easy to get to!! You can find the jars here. 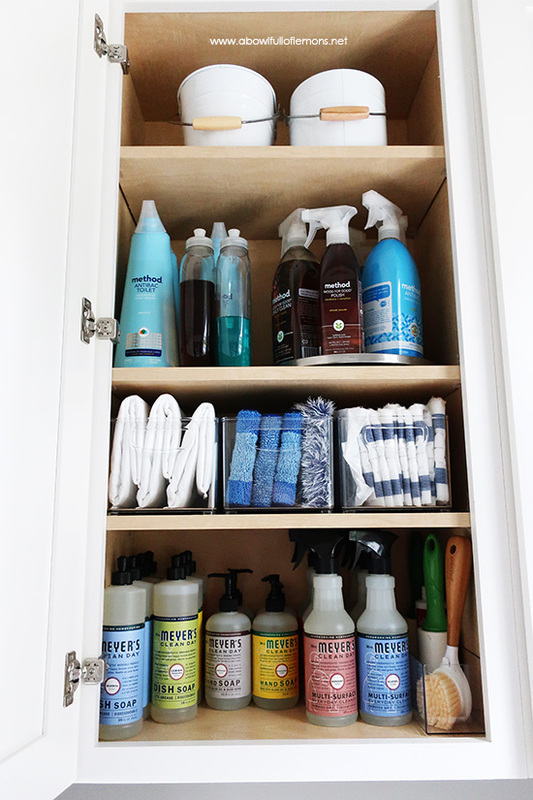 Our cleaning supplies line the shelves of our cabinets. I use lazy Susans and clear acrylic bins to coral our supplies. 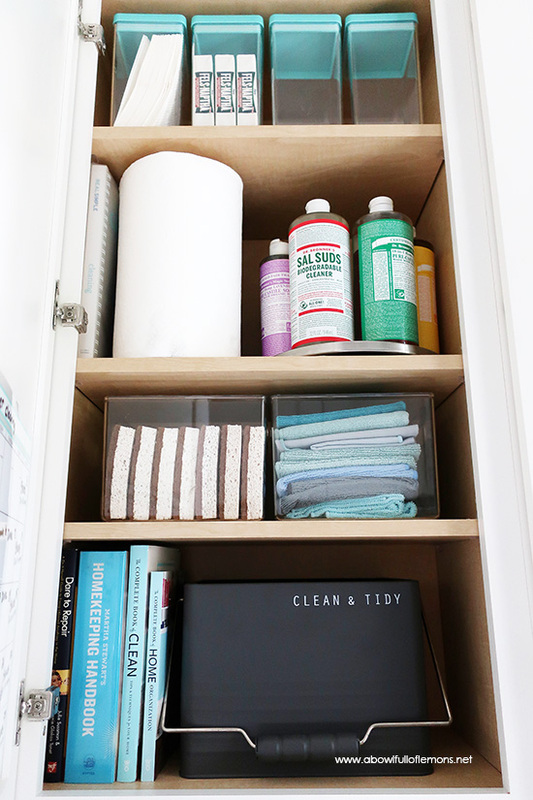 I also keep my cleaning & organizing books in this cabinet. You can find my favorite Castile soap here. The middle cabinet houses my cleaners. Some of my favorite brands of cleaners are from Method and Mrs. Meyers. I also make my own cleaners. You can find my favorite cleaning recipes in this book. 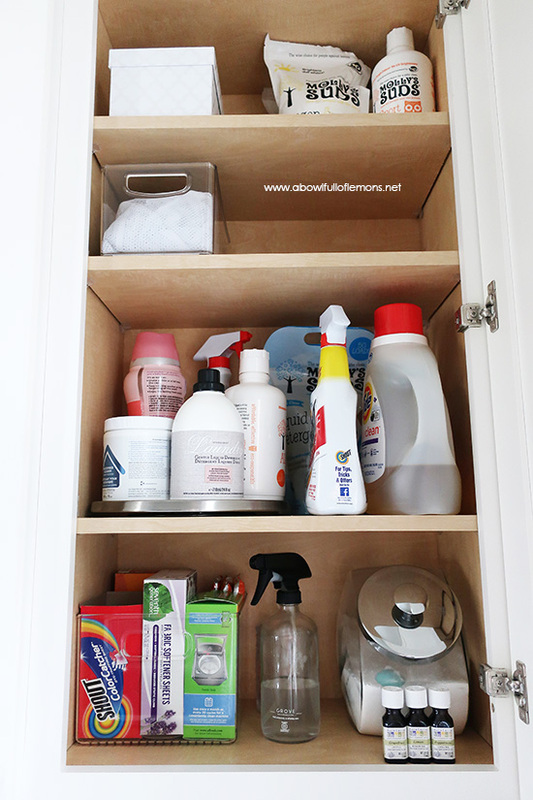 The last upper cabinet contains my laundry supplies. 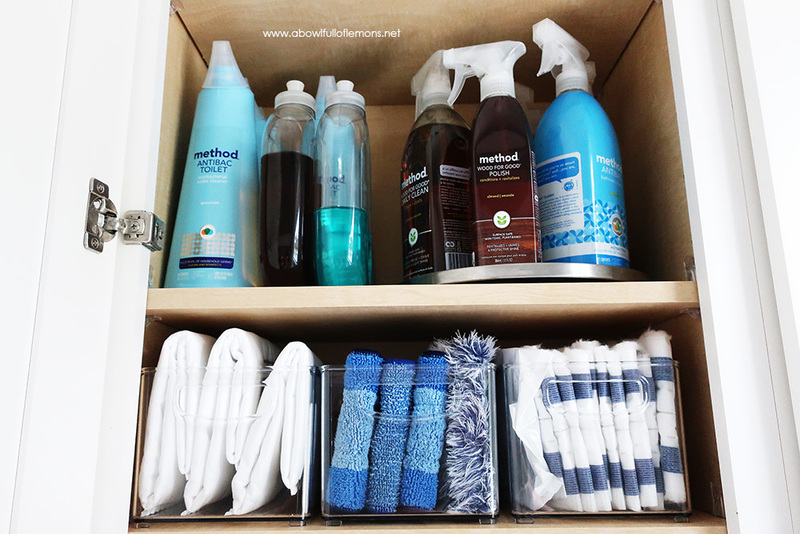 *I use the Grove spray bottles for my homemade cleaners. Click here to receive a free Mrs. Meyers cleaning set with your first Grove order. 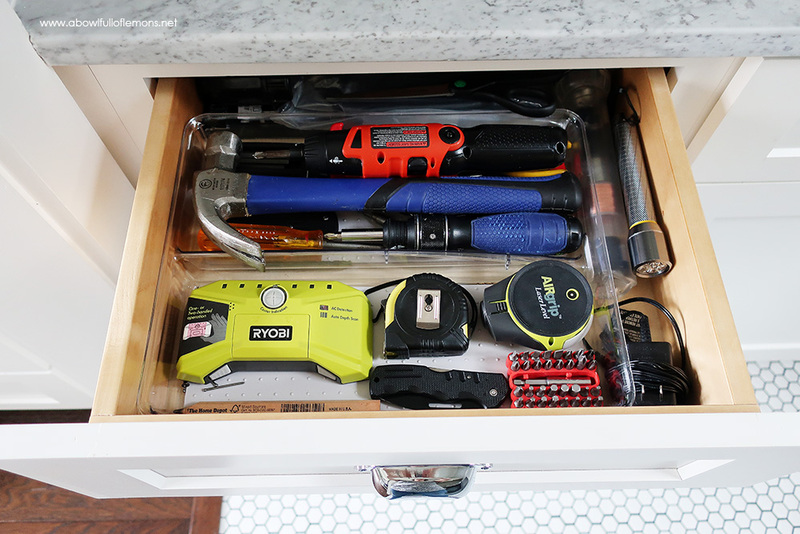 We keep tools in the first drawer. The organizer is from Target (I believe). This drawer gets used on a daily basis and I highly recommend making room for one in your laundry room. 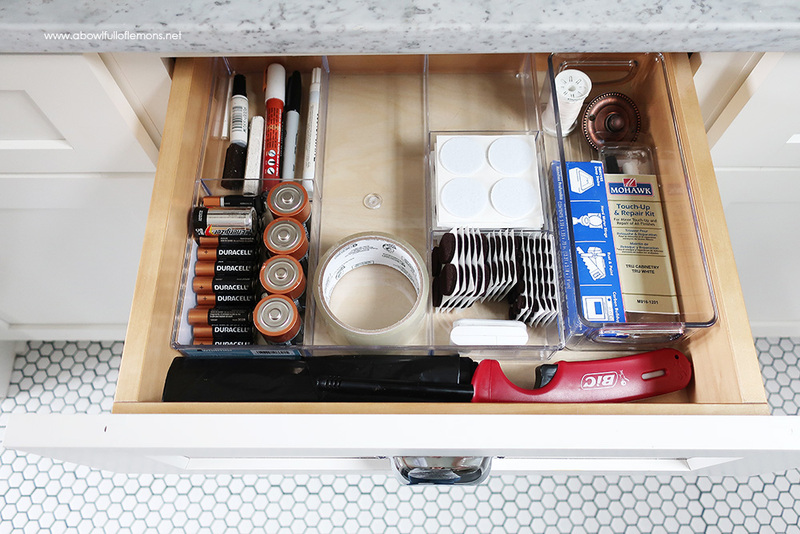 The second drawer contains batteries, furniture and flooring repair kits and furniture protectors. You can find the organizer here. 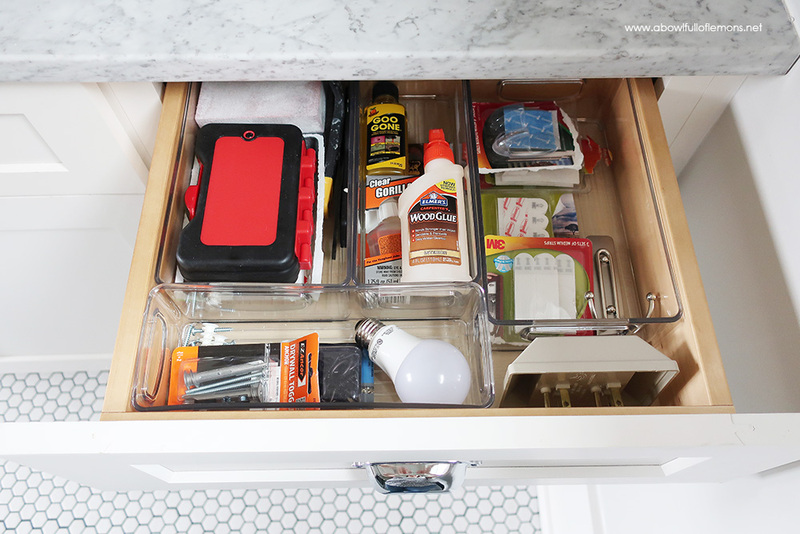 The final drawer contains glue, command strips, and other miscellaneous items. 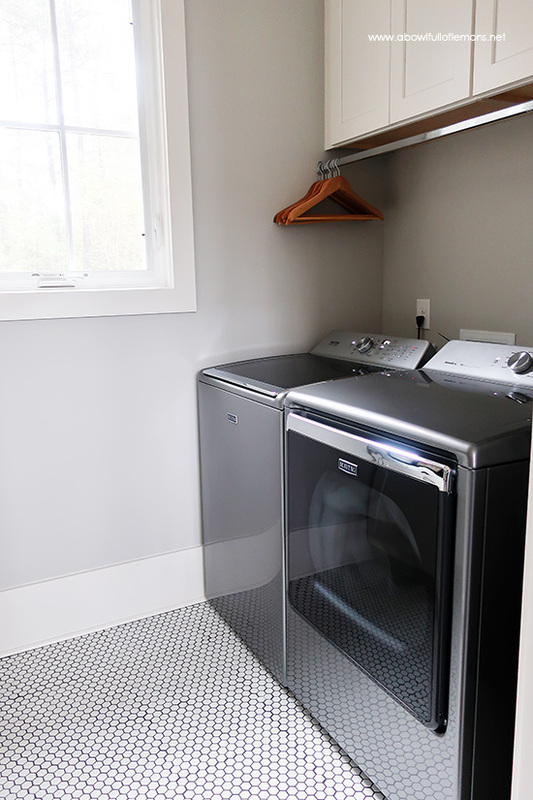 On the opposite side of the room, you’ll find our beautiful Maytag washer and dryer. They are daily work horses!! 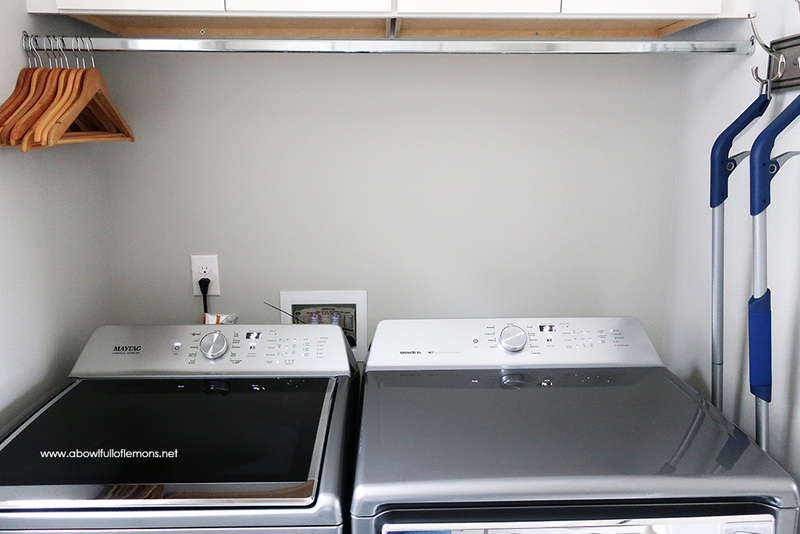 The rod over the washer and dryer is where I air dry our delicate clothes. I keep our Bona hardwood & tile mops on these hooks. I found the hooks from Target. Next week, I will be sharing my Laundry Routine so check back for that soon. I hope you enjoyed touring our organized laundry room. If you have a post/video request, please let me know below. Make sure to subscribe to my blog for new updates and share with your friends! Have a great day.